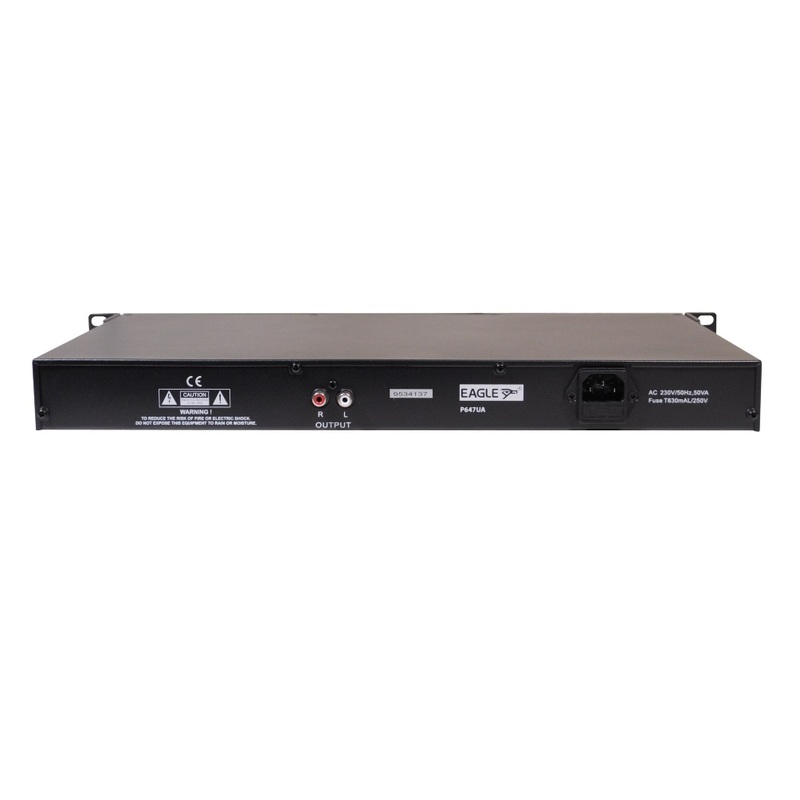 The Eagle Media Player is the ideal high quality source for background music (BGM) in public address systems. 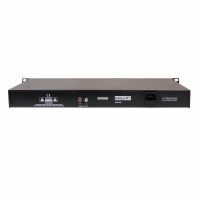 This CD and MP3 player provides hours of uninterrupted music for professional systems, with the option of single or random play functions. The compact CD player plays audio CD/CD-R/CD-RW/MP3 discs (supports ID3 tags). Alternatively, you can play directly from a memory stick in the USB port or use the card slot to play back MP3 or WAV files (for SD/MMC cards up to 32 GB FAT16/32). The unit is ideal to create the right atmosphere in bars, showrooms, shops, hotels, restaurants, canteens, gyms; in fact anywhere uninterrupted background music is required. 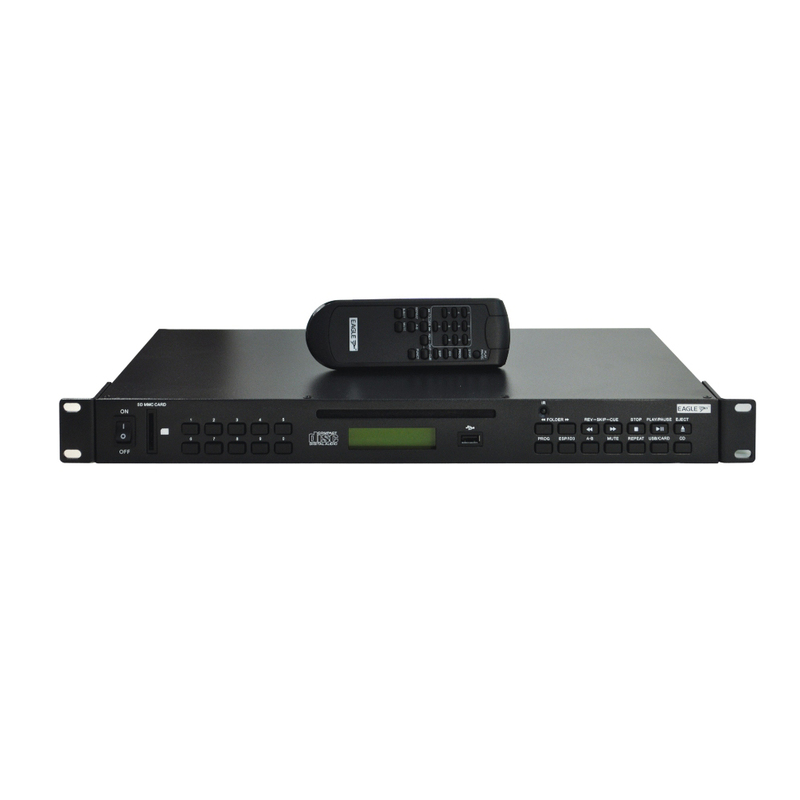 Supplied with an infrared remote control and mounting brackets for 482 mm (19") rack installation. • Perfect for bars, showrooms, shops, hotels, restaurants, canteens, gyms, etc.